1921: John Osteen was born in Paris, Texas. 1944: John Osteen received his Master of Religious Education at Northern Baptist Theological Seminary. 1950: John Osteen became pastor at Central Baptist Church, Baytown, Texas. 1955: John Osteen resigned as pastor of Central Baptist Church. 1959: John and Dodie Osteen started Lakewood Church. 1961: John Osteen started John Osteen Evangelical Association, and began publishing Praise magazine. 1963: Joel Osteen was born in Houston. 1979: Lakewood became a megachurch, with over 3,000 members. 1981: Dodie Osteen was diagnosed with liver cancer. 1983: Joel Osteen started Lakewood’s television ministry through the John Osteen telecast. 1986: Dodie Osteen published her first book, Healed of Cancer. 1988: Lakewood Church expanded its worship center to hold over 8,000 worshippers; Lisa Osteen published her first book, 6 Lies the Devil Uses to Destroy Marriages. 1990: John Osteen published his final book, Seven Qualities of a Man of Faith ; Lisa Osteen survived a pipe bomb explosion at Lakewood Church. 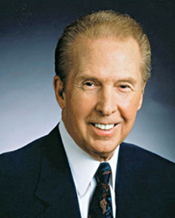 1999: John Osteen died; Joel Osteen became Lakewood’s senior minister. 2004: Joel Osteen published his first book Become a Better You. 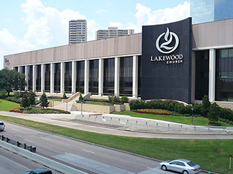 2005: Lakewood Church moved locations into the former Compaq Center. 2008: Victoria Osteen published her first book, Love Your Life; Joel and Victoria Osteen published Hope for Today, a prosperity gospel study Bible. 2012: Lisa Osteen Comes published You Are Made for More! : How to Become All You Were Created to Be. 2014: Joel Osteen began hosting Joel Osteen Radio on SiriusXM. 2016: Dodie Osteen published If My Heart Could Talk: A Story of Family, Faith, and Miracles. Born in 1921 in Paris, Texas, a small town in the northeastern corner of the state, John Osteen [Image at right] grew up during the Great Depression in Fort Worth, just outside of Dallas. At the urging of a close friend named Sam Martin, John became a Christian around the age of eighteen. Driven by an evangelistic zeal to promote the message of Jesus, he commenced preaching immediately. Soon John left Fort Worth for Siloam Springs, Arkansas, where he attended John Brown University, after which he completed a Master of Arts in Religious Education at Northern Baptist Theological Seminary in Chicago. John’s 1944 M. R. E. thesis focused on religious education and Bible knowledge in the local congregation, an approach to spiritual literacy he enacted in several of the congregations he later pastored in the Houston area (Sinitiere 2015). After seminary, John led congregations in California, and West Texas, and traveled around the Lone Star State as an itinerant, traveling minister. In 1950, John moved to Baytown, Texas, at the time a growing refinery town and suburb east of Houston. Installed as the pastor at Central Baptist Church, for five years John welcomed over 1,000 members, and spearheaded a Christian education program. A member of the San Jacinto Baptist Association, John preached at the Association’s annual gatherings, and supported evangelistic activities in Mexico. In 1955, Osteen resigned from Central Baptist, the separation likely the result of marital strife that led to a divorce (Sinitiere 2015). While the historical record is silent on the reasons for John’s divorce, he soon found love again, and in the late 1950s married a Baytown nurse named Dodie Pilgrim. At the time, John worked as a supply preacher around Houston in places such as Hibbard Memorial Baptist Church. About the same time, he and Dodie welcomed the first of five children. Their daughter Lisa had serious health complications at birth that affected her muscles; distraught, the parents prayed for her recovery. In desperation, they turned to Pentecostal teachings that promised the possibility of healing and restoration. In time, Lisa’s health improved; a development that John and Dodie attributed to divine intervention. The experience of Lisa’s restoration to full health led to the Osteen’s Pentecostal turn, and the birth of Lakewood Church (Sinitiere 2015; Osteen Comes 2012; Osteen 2016). The Osteen’s newfound faith linked them to the post-World War II neopentecostal movement, a broad cross section of Christians from numerous denominations. Neopentecostals spoke of God’s activity in the world through the Holy Spirit’s presence in the ordinary lives of everyday Christians, often spoke in tongues, and emphasized the possibility of divine healing. John’s emerging neopentecostal identity birthed Lakewood Church in 1959. His Southern Baptist roots provided wide access to a network of likeminded neopentecostal ministers. Soon John became friends with figures such as Oral Roberts and T. L. Osborn, high profile neopentecostals from Oklahoma, and worked with evangelistic organizations such as the Full Gospel Businessmen’s Fellowship International (FGBFI). Following the lead of neopentecostal revivalists like Roberts, in the early 1960s John worked as a traveling evangelist. While John traveled, a FGBMFI colleague named Marvin Crow pastored Lakewood. John also published numerous books such as How God Baptized Me in the Holy Ghost and Fire (1961) and The Bible Way to Spiritual Power (1968), texts on neopentecostal experiences. In addition, he founded the John Osteen Evangelistic Association (JOEA) through which he published a three-year run of Praise magazine from 1963 to 1965. The publication helped to circulate information about the JOEA, raise money, and disseminate testimonies of neopentecostal Christians (Sinitiere 2015). Meanwhile, the work of Lakewood Church continued. The congregation grew exponentially through the 1970s, the surge in attendance due to Houston’s desegregation and the city’s population growth, some of which came from Latin American and Vietnamese immigrants, and wider expansion of the neopentecostal movement. By 1979, Lakewood was a bona fide megachurch with around 3,000 members (Sinitiere 2015). During the same decade, Lakewood adopted the tagline “Oasis of Love,” a phrase that disclosed the congregation’s social orientation of acceptance and openness to people of all backgrounds. John continued his affiliation with the FGBMFI by preaching at its outreach events and publishing sermons in its magazine, Voice. Additionally, John’s writing ministry hit full stride during the 1970s with volumes such as There is a Miracle in Your Mouth (1972); Rivers of Living Water: A Baptist Preacher’s Experiences With the Power That Comes Through the Holy Spirit (1975); The Confessions of a Baptist Preacher (1976); How to Demonstrate Satan’s Defeat (1978); and How to Claim the Benefits of the Will (1978). These titles reflected John’s continued connection to neopentecostalism. However, his books during the 1970s also displayed language and concepts associated with the prosperity gospel. A message that fashions the meaning of material attainment and spiritual expansion to divine blessing, the prosperity teachings of pastors such as Kenneth Hagin influenced John’s message of divine healing and positive confession (Bowler 2013). Growth typified Lakewood’s expansion into the 1980s as well, most notably due to the efforts of John’s son Joel (b. 1963). After spending one year at Oral Roberts University, Joel returned home to Houston and started Lakewood’s television ministry, which brought the John Osteen telecast into thousands of homes across the nation and throughout the world. Also, numerical congregational growth and a bigger budget resulted in the physical expansion of Lakewood Church in 1988. John’s books during this decade emphasized the theme of improvement and second chances, a classic feature of neopentecostalism (e.g., Receive the Holy Spirit ), while they also further clarified his commitment to preaching the prosperity gospel. The ABCs of Faith (1981) and Spiritual Food for Victorious Living (1985), for example, promoted positive confession by encouraging Christians to recite verbally Bible verses about spiritual victory, a practice that emblematized divine activity. In addition to books, John’s commitment to positive confession became integral to Lakewood’s weekly worship. Early in the decade, John started the practice of raising his Bible in the air to enact positive confession centered on Christian scripture. John proclaimed as the congregation chanted along with him: “This is my Bible. I am what it says I am. I can do what it says I can do. Today, I will be taught the Word of God. I boldly confess: My mind is alert, my heart is receptive. I will never be the same. I am about to receive the incorruptible, indestructible Word of God. I will never be the same. Never, never, never. I will never be the same in Jesus’ name. Amen” (Bowler 2013; Sinitiere 2015 :51 ). Health problems with his heart and kidneys slowed John considerably throughout the 1990s. As a result, in early 1999, the week before he died John asked Joel [Image at right] to preach at Lakewood. Joel complied, and later that year in the midst of the Osteen family mourning John’s death and looking at Lakewood’s future, he became Lakewood’s fulltime minister. His October 1999 “Vision Day” sermon paid tribute to John’s influence at Lakewood, while it cast the church’s possible future in terms of the congregation’s social programs (e.g., job training, leadership seminars, Christian education) and neopentecostal guest preachers such as Joyce Meyer (Sinitiere 2015). As Joel grew into the role of Lakewood’s senior minister, his wife Victoria joined him as co-pastor. In addition, the distinct shape of his overall message took root in the early 2000s. Joel continued to express Lakewood’s Bible confession, a reflection of his father’s influence. Building on his familiarity with the teachings of prosperity evangelist Joyce Meyer and leadership consultant and minister John Maxwell, Joel maintained prosperity gospel teachings most specifically through sermons and books on positive thinking and positive confession. While Joel’s last name brought him recognition in neopentecostal settings, in 2004 the Osteen name became a recognizable brand with the publication of his first book, Your Best Life Now. A New York Times bestseller, Osteen’s book promoted the practice of producing positive self-images and stating phrases of self-affirmation to build self-worth and self-esteem. A 2005 appearance on Larry King Live put Joel and Victoria’s faces in front of a national audience for the first time; subsequent appearances on King’s show, and later Piers Morgan, solidified Osteen’s status as one of America’s most recognizable pastors. The year of Joel’s inaugural appearance on Larry King Live, Washington Post writer Lois Romano dubbed Osteen as “the smiling preacher.” The moniker stuck, and it also served as a literal facial gesture that communicated Osteen’s message on positivity and personal improvement (Romano 2005:A01; Einstein 2008; Sinitiere 2015). While Joel continued to broadcast Lakewood services on television via the Joel Osteen telecast and play a central role in the church’s religious broadcasting, the ascendance of his public career tracked with the rise of social media. A prosperity minister with nearly two decades of television and broadcasting experience before he became a full-time pastor, Osteen recognized the twenty-first century’s new opportunities and advantageously placed his message across numerous digital modalities such as Facebook, Instagram, and Twitter. In 2014, Osteen joined SiriusXM and began to host Joel Osteen Radio (Sinitiere 2015). If expansion typified Lakewood Church’s history during John’s tenure, it has advanced considerably during the early years of Joel’s ministerial labors. Attendance increased to the point that in 2005 Lakewood moved into a new building in Greenway Plaza, a business and retail district close to downtown Houston. The former home of the National Basketball Association’s Houston Rockets and venue for concerts and other entertainment events, the Compaq Center became the new Lakewood Church, a sports-arena-turned-megachurch that held 16,000 people. [Image at right] The smiling preacher captured the historic moment when he said on opening weekend in July 2005, “For nearly thirty years they’ve crowned champions in the sports field in this building, but I believe for the next thirty years we can crown people champions in life. We’re going to let them know that they are victors and not victims; we’re going to let them know they can do all things through Christ” (Martin 2008; Sinitiere 2015:183). From a new home base at Lakewood, since 2004 Joel has disseminated his prosperity gospel teachings through a long list of best-selling books that include Become a Better You: 7 Keys to Improving Your Everyday Life (2007); It’s Your Time: Activate Your Faith, Achieve Your Dreams, and Increase in God’s Favor (2009); I Declare: 31 Promises to Speak Over Your Life (2012); Fresh Start: The New You Starts Today (2015); and Think Better, Live Better: A Victorious Life Begins in Your Mind (2016). Joel’s published books thematize distinct dimensions of his prosperity gospel; some focus on positive thinking along a resolute belief in positive providence, while others emphasize positive confession along with a positive self-attitude, health and fitness (Sinitiere 2015) . A megachurch with a history that spans over half a century, today Lakewood is the largest megachurch in the United States with over 40,000 members and attendees. Lakewood’s congregation also boasts one of the nation’s most racially and ethnically diverse assemblies, although the leadership team is largely white and has consisted mostly of Osteen family members. Located in the nation’s most diverse metropolitan areas, there is also the 8,000-member Iglesia Lakewood, the church’s Spanish-language congregation led by Danilo and Gloriana Montero (Henderson 2012; Sinitiere 2015). At its core, Lakewood Church adopts evangelical theological teachings. It began as an evangelical congregation, and remains committed to evangelical paradigms centered on biblical authority, Jesus Christ as savior, the necessity of conversion, the imperative to evangelize, and influence of the Holy Spirit. Its emphasis on the Holy Spirit also alludes to Lakewood’s neopentecostal orientation. During John’s tenure, a focus on the Holy Spirit privileged speaking in tongues, the proclamation of prophecy, and claims of divine healing. During Joel’s era, emphasis on spiritual motivation has replaced a decided focus on speaking in tongues, for example, although Joel’s mother Dodie Osteen and sister Lisa Osteen Comes have been more explicit in Lakewood’s core teaching on the Holy Spirit (Sinitiere 2015). While Lakewood reflects evangelical teachings, it has also long embraced the prosperity gospel. By way of definition, the prosperity gospel emphasizes divinely sanctioned material accumulation; offers the firm conviction that generative human action through thought and speech (rendered as positive thinking and positive confession) can alter material circumstances; and spiritualizes material conditions of both poverty and wealth. Coupled with such distinctives, the prosperity gospel also promotes the possibility of a second chance, a spiritual makeover that allows for remaking or refashioning individual religious identity (Bowler 2013; Sinitiere 2015). From an historical vantage point, the prosperity gospel has nineteenth-century roots in the Holiness and New Thought movements, and in the twentieth-century figures such as Oral Roberts, as well as fellow Tulsan Kenneth Hagin, popularized the message during the post-World War II period in the context of suburban growth and economic expansion. The advent of televangelism during the same historical era, and the rise of networks like Trinity Broadcasting Network (TBN) and the Christian Broadcasting Network (CBN), helped to popularize the prosperity gospel while it also generated intense conflict through televangelist scandals of the 1980s (Hladky 2012; Bowler 2013). In Lakewood’s history, John and Joel Osteen have been the most ardent advocates of the prosperity gospel. John’s prosperity gospel, reflected in books like There is a Miracle in Your Mouth (1972), The Confessions of a Baptist Preacher (1976), and Spiritual Food for Victorious Living (1985) detailed his prosperity focus on positive confession, the verbalizing of affirmational sayings and scriptures based on the belief that the act of speaking prompts God’s activities. In addition, John’s prosperity gospel centered on divine healing as a spiritual concept and a material reality, which John believed Lisa’s recovery from medical complications at birth, and later, Dodie’s recovery from cancer in 1981 confirmed (Sinitiere 2015). Joel’s prosperity gospel (a message influenced by John, along with Joyce Meyer and John Maxwell) presents four distinctive ideas. Like his father, Joel preaches positive confession, sayings of encouragement intended to build self-esteem. Positive thinking invokes mental energy and imagination to visualize personal improvement. Joel’s providence of positive outcomes, a third component of his prosperity teaching, gestures towards a Calvinistic determinism that promises the inevitability of a second chance, a spiritual makeover that portends improvement. Finally, his prosperity gospel of the body adopts New Testament language of the human body as God’s temple to emphasize the practical benefits of exercise, nutrition, and caloric intake for a holistic positive self-image (Sinitiere 2015). Other members of the Osteen family also support teachings on the prosperity gospel. Lisa Osteen Comes, one of Lakewood’s pastors, [Image at right] accents her presentation of the prosperity gospel towards the concept of emotional recovery and psychological wholeness, along with divine healing. Surviving muscular challenges at birth led her to claim, “I was the first miracle at Lakewood Church.” In the late 1980s, after struggling through the emotional turmoil of a divorce, she capitalized on teachings about personal victory and survival, along with empowerment and encouragement through the cultivation of healthy relationships, whether in friendship or marital partnership. Lisa communicated these ideas in 6 Lies the Devil Uses to Destroy Marriages (1988) and Overcoming Opposition: How to Succeed in Doing the Will of God (1990). She also survived a pipe bomb blast in 1990 when she opened a package at Lakewood Church, further validation of divine healing which became an integral part of her neopentecostal identity (Osteen Comes 2012:22; Sinitiere 2015). Dodie’s [Image at right] diagnosis and defeat of cancer in 1981 not only further confirmed for the Osteen’s the validity of divine healing, but it also propelled her teaching on the centrality of positive confession. In her books Healed of Cancer (1986) and If My Heart Could Talk: A Story of Family, Faith, and Miracles (2016), she told the story of how nearly every day in her bout with cancer she wrote down and recited Bible passages about healing. Based on the conviction that the literal act of speaking God’s word helps to infuse its power, Dodie’s recitation of Bible verses enacted positive confession, a practice she attributed to sustaining her life (Sinitiere 2015). Finally, Lakewood’s co-pastor and Joel’s spouse Victoria Osteen also presents her prosperity gospel through positive confession and positive thinking. However, in sermons and in her 2008 book Love Your Life: Living Happy, Healthy & Whole she tailors the message to healthy heterosexual marriage relationships, practices of parenting, and expressions of hope, joy, inspiration, and encouragement illustrated in the everyday experiences for, by, and about women. Uniquely, Victoria [Image at right] promotes literacy as a prosperity gospel practice through the publication of a juvenile literature trilogy, My Happy Heart Books (2009), and two large print children’s books Unexpected Treasures (2009) and Gifts from the Heart (2010). Entrance into Lakewood’s physical space reflects the largesse that defines a megachurch while it also displays key rituals of its congregational life. Worship in a converted sports arena [Image at right] generates a buzz of emotions and experiences organized around music, fellowship, and preaching. A Wednesday night service, along with a worship gathering on Saturday evening followed by three more Sunday services, including Iglesia Lakewood, structures formal weekly gatherings. About half an hour of praise music begins each Lakewood service, after which ushers collect tithes and offerings. There is sometimes a testimony that bridges the worship music period; Joel may offer an encouraging story that accentuates a topic in that day’s songs, or Victoria may articulate the importance of family relationships and faith in God. Following the music there is typically a half-hour sermon that expresses the prosperity gospel. Ministers such as Lisa Osteen Comes or Paul Osteen, as well as John Gray, share sermon labors with Joel. On occasion, guest ministers have preached at Lakewood, including Joyce Meyer, T. D. Jakes, and John Maxwell. Following the sermon, there is a time of individual and congregational prayer where members trained in the practice of prayer pray with attendees, or offer an encouraging statement about difficult life situations (Einstein 2008; Sinitiere 2015). Historically, worship music has also ritualized Lakewood’s message of positive thinking, positive confession, emotional encouragement, and spiritual second chances. As a television producer, Joel was intimately involved in the design of Lakewood’s stage in the former Compaq Center. With his team, the smiling preacher reconstructed the arena to have the widest possible camera angles for the television audience, and crafted ground floor seating in front of the main stage to maximize the viewing experience, both onsite and on screen. The result further professionalized Lakewood’s televangelism and maximized the production of its worship performances. Everything from the creation of a television friendly stage, to using the latest technical sound and recording equipment, to the staging of professional musicians, both reflected historic megachurch architectural patterns and conformed to contemporary industry standards. While Lakewood is not the only megachurch to robustly professionalize the overall performance value of its prosperity message, it is a model for many congregations who compete with Lakewood and aspire to the heights of its production praxis (Carney 2012; Bowler and Reagan 2014; Sinitiere 2015). One of the earliest examples of the way that music ritualized Lakewood’s core teachings occurred in 1976 when the church’s worship leader named David Ingels wrote a song titled “Oasis of Love.” It depicted God’s presence of love and a second chance of personal salvation as the answer to loneliness and difficulty. Since John had coined “oasis of love” four years previous, Ingels’s anthem helped to popularize what became the church’s tagline for nearly three decades (Sinitiere 2015: 37). Joel considers worship music central to a megachurch’s program of religious production, and when he became Lakewood’s head minister poured resources and support into bolstering the congregation’s worship features. Early in his tenure, he hired noted award-winning musicians Cindy Cruse Ratcliff and Israel Houghton. The interracial duo not only brought professional musicians to Lakewood’s stage, they also performed the church’s core message of positive thinking, and beliefs about God’s blessing, hope, and encouragement. Ratcliff, for instance, sang, “Discover the Champion in You,” Lakewood’s new tagline after Joel became senior minister. The song verbalized positivity, opportunity, and possibility. “Till we see the new horizons, believing the best is yet to come,” she sang, “You’re an overcomer, more than a conqueror, called to be a champion in life . . . At Lakewood, discover the champion in you.” In addition to leading music during church services, solo projects throughout the years such as Ratcliff’s Edge of the Universe (2015) have included live recordings of Lakewood’s worship music. In addition, Houghton and Ratcliff sometimes lead the musical component of Lakewood’s mobile church service known as “Night of Hope” events held in arenas and stadiums across the country. Da’dra Crawford Greathouse and Steve Crawford, a couple connected to the gospel group Anointed, also participate as some of Lakewood’s worship leaders (Lee and Sinitiere 2009; Sinitiere 2015:117). Houghton [Image at right] also stands on his own as a creative, musical expression of Lakewood’s prosperity gospel. In addition to his songs, his biracial identity and cross-cultural dexterity fits within the church’s multicultural congregational culture. According to biographical writings, Houghton’s self-image changed when he understood a greater purpose in life came from God’s divine blessings of a loving relationship with salvation in Christ. Redemption not only empowered Houghton’s religious identity, if began to fuel his music, communicated in a well-known song “Friend of God.” A diverse combination of styles that range from R&B and jazz, to gospel and rock, Houghton with his musical group known as New Breed infuse songs with the prosperity gospel that offers hope for improvement, and the inevitability of divine blessing, even in the midst of trouble and difficulty. Just as Ratcliff’s lyrics in “Discover the Champion in You” echoed Lakewood’s teachings, Houghton’s songs restated the smiling preacher’s teachings on God’s favor, hope, emotional wholeness, and spiritual self-improvement. In summary, all of Lakewood’s musicians verbalize the prosperity gospel in sonic form (Reagan 2015). Outside of the worship rituals punctuated by music and a sermon, Lakewood offers religious education classes for attendees of all ages. Notably, the congregation’s children’s ministry established the Champions Club, a specially designed class to address sensory engagement and physical activity for children on the autism spectrum. Adult classes cover topics that provide encouragement and advice for everyday Christian life, relationships, singleness, and spiritual outreach. For enrichment outside of formal gatherings, Lakewood has published Christian education materials such as the booklets God’s Promises for a New Beginning and Foundations: Building Your Life with Christ, as well as a church blog with short spiritually themed messages posted regularly. In addition, the church produced video curriculum like the DVD Growing Strong: Six Keys to Grow in Christ for self-directed learning (Sinitiere 2015). Organizationally, the Osteen family has been at the helm of Lakewood’s leadership for the church’s entire history except for a few years in the 1960s when a pastor named Marvin Crow led the congregation while John traveled the world as an evangelist. Various pastoral positions (e.g., senior, associate, assistant, etc.) have long constituted Lakewood’s senior most leadership, all of which family members, including in-laws, have occupied. During Joel’s tenure, Lakewood’s leadership circle has expanded outside of the family. There are paid management positions outside of the executive leadership team that oversee Lakewood’s facilities, for example, or organize the church’s security detail. At present, Lakewood does not formally ordain positions such as elder or deacon. Rather, trained volunteers oversee Sunday school classes, home fellowships, and other facets of Lakewood’s social programs and outreach activities such as homeless ministry (Sinitiere 2015). During John’s tenure, the role of minister was an explicitly defined and titled position. As the congregation grew in size during the 1980s and 1990s, the roles like that of associate minister and executive director continued to formalize leadership roles. At that time, Lisa Osteen served as Lakewood’s associate minister, which meant she shouldered some of the weekly preaching. John’s son from his first marriage, Justin Osteen, assisted his father in an executive management position until John’s death in 1999. During the 1980s and 1990s, John’s son-in-law Gary Simons (married to John and Dodie’s daughter April) worked as Lakewood’s youth minister and music minister. While she did not have a formal title as “co-pastor” during John’s era as Lakewood’s minister, Dodie accompanied John in the pulpit during services. She often related a testimony of encouragement from a church member or viewer who had shared a story of healing or restoration. On the John Osteen telecast, Dodie performed the same function (Sinitiere 2015). While Joel continued the practice of having Osteen family members in leadership positions when he assumed pastoral responsibilities in 1999, he has also hired church leaders beyond the family circle. Paul Osteen, Joel’s older brother, moved from Arkansas to Houston to assist after John’s death. A medical doctor, Paul closed his practice in Little Rock and used Houston as a base for his and Lakewood’s medical mission trips to Africa and Haiti. Kevin Comes, Lisa’s second husband and construction expert, worked as Lakewood’s facilities building manager, especially as the church acquired the Compaq Center and transformed the sports arena into a church. Congregational leaders outside of the Osteen family included Cindy Cruse Ratcliff and Israel Houghton. As Lakewood’s Spanish-speaking congregation grew in the early 2000s, Joel hired Marcos Witt to join Lakewood’s leadership team. A dynamic pastor, and award-winning musician who was a household name in Latin America, Witt raised Lakewood’s profile within Houston’s large Spanish-speaking population. After Witt returned to music full-time in 2012 following a decade of service to Lakewood, Joel hired Danilo and Gloriana Montero to oversee Lakewood’s Spanish-speaking ministries. That same year, an African American comedian and minister named John Gray became one of Lakewood’s associate pastors. While Lakewood’s leadership team has been mostly Anglo and largely remains in the hands of Osteen family members, during Joel’s tenure the leadership circle has widened to include pastors outside of the family and from different racial and ethnic backgrounds (Sinitiere 2015; Gladwin 2015). Lakewood’s first public controversy during Joel Osteen’s tenure took place in 2005 after his appearance on Larry King Live. In response to King’s question on Christianity’s exclusive claims about salvation in Jesus Christ, Osteen commented that he believed God determined an individual’s eternal fate; he insisted that his role as a minister centered on the promotion of Christianity’s salvation message. Evangelical critics roared with disapproval, and for many years thereafter criticized Osteen for what they deemed a failure to capture a prominent stage for the specific articulation of Jesus Christ. In reply to critics, shortly after his Larry King Live interview Osteen published a clarification of his theological convictions and articulated Christianity’s teaching on salvation in Jesus Christ. “I regret and sincerely apologize that I was unclear on the very thing in which I have dedicated my life,” Osteen confessed. “I believe with all my heart that it is only through Christ that we have hope in eternal life,” he stated. “I believe that Jesus Christ alone is the only way to salvation” (Osteen 2005; Sinitiere 2015:184-85). Despite Osteen’s follow up about evangelical convictions after his inaugural Larry King Live appearance, his detractors have long insisted that the prosperity gospel fails to adequately grapple with human finitude, and thus undercuts the full meaning of divine grace through Jesus Christ. While many of Osteen’s critics are part of the New Calvinist movement, a group of conservative evangelicals fixated on intellectual theology and doctrinal precision along with an emphasis of God’s divine power, other deriders represent a broad array of religious traditions (Sinitiere 2015). Pastor Adam Key, a member of Psalm 24 Ministries, in 2007 published Your Best Lie Now: The Gospel According to Joel Osteen. The cover of Key’s book is a mockup of a smiling Joel just like the cover of his own book Your Best Life Now. In bold, red strokes, Key’s cover depicts Osteen with devil horns protruding from his forehead, and a sinister looking goatee conjures up visual comparisons with Anton LaVey, the founder of the Church of Satan. [Image at right] In addition to Your Best Lie Now, Key showed up and preached outside of Lakewood Church. A five-minute YouTube video of Key’s street preaching shows the cover of his book displayed prominently next to a large sign that reads, “Joel is LYING to you.” The video documents Lakewood security shadowing Key while directing foot traffic in order to avoid a potential altercation. About one minute into the video, an African American woman shouts down Key’s doomsday preaching and Scripture quoting by reminding him that those Lakewood attendees “give God the praise and glory” (Key 2007). “ Osteenification is nothing short of the wholesale transformation of American Christianity . . . From Genesis to Revelation, Osteen simply uses Scripture to communicate whatever he wants. Not even Mormons or Jehovah’s Witnesses treat the Scripture with such disregard. They at least attempt to grapple with the biblical languages. Osteen does not so much as seriously consider the English text. Indeed, that is what the Osteenification of Christianity is. It is conforming Scripture to cultural norms as opposed to allowing the plain reading of the text to transform . . . . Osteen’s . . . Scriptorture . . . abuses Scripture” (Hannegraaff 2009, 2014a, 2014b; Sinitiere 2015:183). Osteen’s New Calvinist critics include California fundamentalist John MacArthur, Westminster Theological Seminary professor Michael Scott Horton, Southern Baptist leader R. Albert Mohler, and rapper Shai Linne, a Philadelphia-based emcee. New Calvinism’s focus on doctrinal and intellectual life of Reformed theology, like Hannegraff’s critique, targets Osteen’s prosperity theology. For example, in a 60 Minutes interview about Osteen, Horton describes the prosperity gospel as “cotton candy theology” that reads the Bible “like a fortune cookie.” In a similar vein, Linne, who is part of a group of emcees associated with “Reformed rap,” wrote a song in which he named Osteen and other prosperity ministers as “Fal$e Teacher$.” In the song, he emphasizes Jesus Christ and the gospel, claims that money is the prosperity gospel’s sole focus, and names Osteen’s first book as corrupt and evil: “The gospel is He came to redeem us from sin/And that is the message forever I’ll yell/If you’re living your best life now/you’re headed for hell” (Sinitiere 2015:189, 195). Outside of evangelical circles, theologian and writer Jason Byassee in the mainline magazine Christian Century praises Osteen’s “multiethnic ministry” but mentions several reservations about his prosperity gospel. “Osteen’s promises of prosperity,” Byassee contends, “can’t really lift the luggage psychologically. . . .[w]ithout both the heights and depths, the gospel offered by the smiling preacher on the screen is simply the same platitude over and over.” The power of positive thinking and philosophy of achieving one’s best life now, in Byassee’s estimation, tends to miss the center of the Christian faith: the suffering, death, and resurrection of Jesus. Another mainline critic, Religion Dispatches writer and minister Candace Chellew-Hodge, since 2009 has been one of the most vocal detractors not only about Osteen’s persistent affirmations of happiness and abundance, but also about his conservative convictions on homosexuality and marriage equality. Chellew-Hodge questioned the intentions behind Osteen’s inaugural prayer in 2010 for Houston’s openly gay mayor Annise Parker, while she also upbraided his moralizing statement that homosexuality is “not God’s best” (Byassee 2005; Chellew-Hodge 2009, 2010, 2011, 2012). Closer to Houston, a group of pastors from the Church of Wells, a fundamentalist congregation from east Texas, in June 2015 attended a Lakewood service and disrupted Osteen’s sermon before security escorted them out. A handful of pastors stood up and screamed “false prophet” at Osteen, called him a liar, proclaimed divine judgment on the smiling preacher, and condemned the prosperity gospel as antithetical to biblical teaching. Widely reported in national news outlets, the hecklers echoed long-standing critiques of Osteen’s prosperity gospel, but also represented new heights of criticism by voicing dissatisfaction during a Lakewood Church service. Eventually, the hecklers stood trial for trespassing and disturbing the peace. In June 2016, a Houston jury acquitted the men of all charges (Carney 2015; Ohlheiser 2015; Ong 2015; Axford 2016). While Joel has faced the most extensive criticism from Lakewood’s detractors, Victoria has also been in the news for controversial actions and remarks. In late December 2005, Joel and Victoria along with their two children had a skiing vacation planned for Christmas. It was the perfect getaway for the prosperity gospel power couple. They looked forward to rest, relaxation, and blissfully cutting through the slopes of Colorado’s powdery paradise. Six month previous, Lakewood had opened the doors of its new worship space. Demands on their time had increased, and relentless media requests and church activities kept the family very busy. Also, Joel and Victoria were hard at work on their new books. In 2007, Joel would publish Become a Better You, his second book, and the following year Victoria’s Love Your Life appeared. Before the family’s departure from Houston, however, a dispute erupted onboard their Continental flight between Victoria and a flight attendant named Sharon Brown. Apparently, Victoria requested that Brown clean up the tray table or armrest of the first-class seat in which she planned to sit, while Brown insisted that Victoria physically pushed her. Reports about the conflict differed; whatever the facts of the case, the Osteen family eventually de-planed and Victoria paid a $3,000 FAA fine. Brown subsequently filed suit against the celebrity minister for ten percent of Victoria’s net worth, requested an apology, and demanded counseling fees. Brown claimed that the altercation caused physical and spiritual trauma. The case eventually went to trial in August 2008, and a Houston jury found that Victoria did not assault flight attendant Brown. In post-trial comments Brown’s attorney depicted Victoria as someone who felt that she could live life by a different set of rules, while Osteen’s lawyer suggested that the trial was simply an attempt to bilk money from a celebrity. The jury foreman described the trial as “a complete waste of time” because, while he and the jurors agreed that an altercation took place, they did not deem it an assault (Sinitiere 2015: 156-57). Victoria’s insistence that “God has me in the palm of His hand” and her resolution that “God causes all things to work together for our good” speaks to how the prosperity gospel spiritualizes material realities. In addition, Victoria’s comment that adversity produces self-improvement discloses the prosperity gospel’s promise of second chances and new beginnings. In other words, as a performance Victoria embodies and enacts the content of her prosperity gospel through incessantly promoting the idea that trouble produces triumph, and that improvement inevitably materializes in response to conflict (Sinitiere 2015). Another public controversy erupted in the summer of 2014 when someone posted a sermon clip on YouTube in which Victoria, during a Lakewood service, stated “I just want to encourage every one of us to realize when we obey God, we’re not doing it for God . . . We’re doing it for ourselves, because God takes pleasure when we’re happy . . . Just do good for your own self. Do good because God wants you to be happy. When you come to church, when you worship Him, you’re not doing it for God really. You’re doing it for yourself, because that’s what makes God happy. Amen?” The thirty-second clip went viral. Critics posted, and reposted, tweeted, and retweeted, Victoria’s statement, and many evangelicals fumed with disapproval, including Southern Baptist leader R. Albert Mohler, a longtime critic of the prosperity gospel. Based on an already unfavorable assessment of Joel, most of Victoria’s critics found in her words even more proof of theological bankruptcy (Sinitiere 2015:158). In response to her detractors, Victoria issued a statement of clarification to the online news source The Blaze, a conservative outlet founded by Glenn Beck. She admitted that she “could have been more articulate in my remarks” but emphatically stated, “I stand by my point that when we worship God and are obedient to Him we will be better for it.” At the point of incredulity, she abrasively dismissed the pundits’ comments as “ridiculous, and only the critics and cynics are interpreting my remarks that way.” Victoria pointed to church members who “have experienced firsthand the joy and victory of a Lakewood Church worship service, and the honor, reverence and gratitude we show God” as evidence that her message of happiness found its roots in divine blessing rather than merely human enjoyment. While Victoria’s 2014 reply to scoffers mirrored her public comments from 2005, they were far more direct and confrontational. At the same time, like her 2005 statement, Victoria’s 2014 retort offered a cultural performance of the prosperity gospel by referencing happiness, victory, and joy in connection to experiencing God in the midst of trouble (Sinitiere 2015:159). Image #1: Photograph of John Osteen. 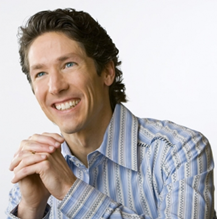 Image #2: Photograph of Joel Osteen. Image #3: Photograph of the Compaq Center building that became the new Lakewood Church. Image #4: Photograph of Lisa Osteen Comes. Image #5: Photograph of Dodie Osteen. Image #6: Photograph of Victoria Osteen, wife of Joel Osteen. Image #7: Photograph of the interior of Lakewood Church. Image #8: Photograph of Israel Houghton in concert. Image #9: Photograph of the cover of Adam Key’s book, Your Best Lie Now. Axeford, Will. 2016. “Remaining Church of Wells Members Cleared in Heckling Case at Lakewood Church.” Houston Chronicle, June 24. Accessed from http://www.chron.com/houston/article/Remaining-Church-of-Wells-members-cleared-in-8323700.php on 3 December 2016. Bowler, Kate and Wen Reagan. 2014. “Bigger, Better, Louder: The Prosperity Gospel’s Impact on Contemporary Christian Worship.” Religion and American Culture 24:186-230. Byassee, Jason. 2005. “Be Happy.” Christian Century, July 12, 20-23. Carney, Charity R. 2015. “The Church of Wells Invades Lakewood, or Historicizing a Heckling Event.” Religion in American History, July 16, Accessed from http://usreligion.blogspot.com/2015/07/the-church-of-wells-invades-lakewood-or.html on 3 December 2016. Carney, Charity R. 2012. “Lakewood Church and the Roots of the Megachurch Movement in the South.” Southern Quarterly 50:60-78. Chellew-Hodge, Candace. 2012. “C’mon, Joel, Swerve a Little Bit.” Religion Dispatches, September 23. Accessed from http://www.religiondispatches.org/dispatches/candacechellew-hodge/6419/c_mon__joel__swerve_a_little_bit_ on 3 December 2016. Chellew-Hodge, Candace. 2011. “‘Living in Favor, Abundance, and Joy’ (Unless You’re Gay).” Religion Dispatches, January 25. Accessed from http://www.religiondispatches.org/dispatches/candacechellew-hodge/4099/_living_in_favor__abundance__and_joy___unless_you_re_gay on 3 December 2016. Chellew-Hodge, Candace. 2010. “Joel Osteen and Annise Parker: Strange Stage-fellows.” Religion Dispatches, January 12. Accessed from http://www.religiondispatches.org/dispatches/candacechellew-hodge/2180/joel_osteen_and_annise_parker__strange_stage_fellows on 3 December 2016. Chellew-Hodge, Candace. 2009. “Is Joel Osteen, Success Mag Cover Boy, Really ‘God’s Best,’?” Religion Dispatches, November 19. Accessed from http://www.religiondispatches.org/dispatches/candacechellew-hodge/2045/is_joel_osteen__success_mag_cover_boy__really__god_s_best on 3 December 2016. Comes, Lisa Osteen. 2012. You Are Made for More! New York: FaithWords. Einstein, Mara. 2008. Brands of Faith: Marketing Religion in a Commercial Age. New York: Routledge. Gladwin, Ryan R. 2015. “Charismatic Music and the Pentecostalization of Latin American Evangelicalism. Pp. 199-214 in The Spirit of Praise: Music and Worship in Global Pentecostal-Charismatic Christianity, edited by Monique M. Ingalls and Amos Yong. University Park, PA: Pennsylvania State University Press. Hannegraaff, Hank. 2014a. The Osteenification of American Christianity. Charlotte, NC: Christian Research Institute. Hannegraaff, Hank. 2014b. “Osteenification and What it Portends.” Philosophical Fragments, March 19. Accessed from http://www.patheos.com/blogs/philosophicalfragments/2014/03/19/osteenification-and-what-it-portends/ on 3 December 2016. Hannegraaff, Hank. 2009. Christianity in Crisis: 21st Century, Pp. xvi-xvii. Nashville, TN: Thomas Nelson. Henderson, Matthew. 2012. “’What Heaven’s Gonna Look Like’: Racial and Ethnic Diversity at Lakewood Church.” University of Houston. M. A. Thesis. Key, Adam. 2007. “Preaching Outside Joel Osteen’s Lakewood Church in Houston.” Accessed from http://www.youtube.com/watch?v=Nu9k60-GgVk on 3 December 2016. Hladky, Kathleen. 2012. “I Double-Dog Dare You in Jesus’ Name! : Claiming Christian Wealth and the American Prosperity Gospel.” Religion Compass 6:82-96. Lee, Shayne and Phillip Luke Sinitiere. 2009. Holy Mavericks: Evangelical Innovators and the Spiritual Marketplace. New York: New York University Press. Martin, William. 2008. “Prime Minister.” Pp. 63-88 in Southern Crossroads: Perspectives on Religion and Culture, edited by Walter H. Conser and Rodger M. Payne. Lexington: University Press of Kentucky. Ohlheiser, Abby. 2015. “ Men Arrested for Heckling Joel Osteen’s Sermon Wanted to ‘ Warn Lakewood Church of the Coming Judgment’.” Washington Post, June 30. Accessed from https://www.washingtonpost.com/news/acts-of-faith/wp/2015/06/29/six-men-accused-of-disrupting-joel-osteens-sermon-at-lakewood-church/?utm_term=.08acd8b20ed7 on 3 December 2016. Ong, Czarina. 2015. “Joel Osteen Jeered; 6 Men Arrested for Disturbing Lakewood Church Service.” Christianity Today, June 30. Accessed from http://www.christiantoday.com/article/joel.osteen.jeered.6.men.arrested.for.disturbing.lakewood.church.service/57577.htm on 3 December 2016. Osteen, Dodie. 2016. If My Heart Could Talk: A Story of Family, Faith, and Miracles. New York: FaithWords. Osteen, Joel. 2016. Think Better, Live Better: A Victorious Life Begins in Your Mind. New York: FaithWords. Osteen, Joel. 2015. Fresh Start: The New You Starts Today. New York: FaithWords. Osteen, Joel. 2012. I Declare: 31 Promises to Speak Over Your Life. New York: FaithWords. Osteen, Joel. 2009. It’s Your Time: Activate Your Faith, Achieve Your Dreams, and Increase in God’s Favor. New York: Free Press. Osteen, Joel. 2007. Become a Better You: 7 Keys to Improving Your Everyday Life. New York: Free Press. Osteen, Joel. 2005. “Letter About the Interview.” Accessed from http://www.joelosteenblog.com/2005/07/13/joel-osteens-letter-about-the-interview/ on 3 December 2016. Reagan, Wen. 2015. “Blessed to Be a Blessing: The Prosperity Gospel of Worship Music Superstar Israel Houston.” Pp. 215-29 in The Spirit of Praise: Music and Worship in Global Pentecostal-Charismatic Christianity, edited by Monique M. Ingalls and Amos Yong. University Park, PA: Pennsylvania State University Press. Romano, Lois. 2005. “‘The Smiling Preacher’ Builds on Large Following.” Washington Post, January 30. Accessed from http://www.washingtonpost.com/wp-dyn/articles/A47023-2005Jan29.html on 20 December 2016. Sinitiere, Phillip Luke. 2015. Salvation with a Smile: Joel Osteen, Lakewood Church, and American Christianity. New York: New York University Press.